As I tweeted earlier this month, we'll be having lots more giveaways in 2012 here on NextGen Player. 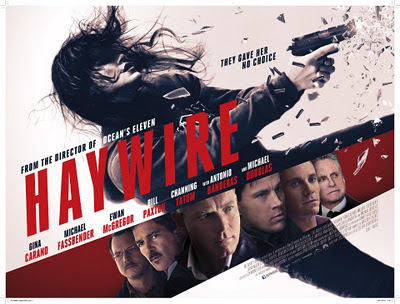 I'm happy to announce we have some advance screening tickets to see Haywire, starring Antonio Banderas, Michael Douglas, Ewan McGregor, and MMA fighter Gina Carano. I have double pass tickets for Ottawa and Halifax on January 19th. Tickets will be given away on a first come, first serve basis. Tickets are VERY LIMITED! How to enter and locations after the break. As a reminder, we'll be handing out tickets on a first-come, first-serve basis, so act quickly if you want to get in on this! Just gave away 12 tickets! Just a few left!